To be considered for entry into the Honors Program, transfer students must first apply to and be admitted to the University of Georgia. Students who transfer to UGA must follow transfer admissions procedures for the University of Georgia and must be accepted to the university before being considered for the Honors Program. To be eligible for Honors, transfer students must have completed at least 30 transferable hours of graded academic credit and must have at least a 3.8 transfer GPA. Transfer acceptances will be determined on a space-available basis. While students may apply to Honors prior to admission to Georgia, Honors applications will not be evaluated until a student is officially admitted. 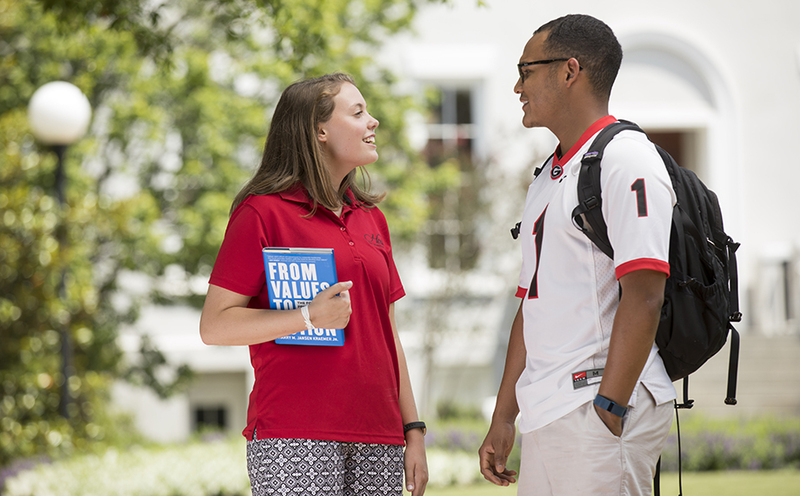 If a student is enrolled in classes at another institution in the term prior to their entrance into UGA, an unofficial final transcript must be received before the Honors Program will render a decision on the application. Applicants should download and save the PDF application to their computers prior to starting the application.